Coming in at number five is this post about Prerna and Parag Gupta, a couple of techies who sold all their stuff to travel the world. Aside from the inherent ballsiness of the couple’s story was the fact that it was featured in Vogue–a magazine that’s not normally associated with minimal living. The fourth most trafficked post was about the Muzereks, a Vancouver family who decided a small condo in a walkable area was a better fit for their values than big place in the burbs. Keeping on the theme of urban families, this post took a look at Kip Longinotti-Buitoni, a single mom who left the burbs and set up camp for her four kids in a relatively small Manhattan condo, helped greatly by an array of transforming furniture. This short post showed off the Airstream trailer that Zappos.com founder Tony Hsieh calls home. We think it falls along the line of the mainstream-ification of minimalism…something we think is a very good thing. This post about the alleged conversion of conspicuous consumption’s poster child proves that nothing gets traffic like celebrities…and humor. Frankly, the above list surprises us a little bit, but Google analytics doesn’t lie. Based on Facebook likes, you guys thought these posts were pretty interesting as well. This post about the “Cheesecake Cohousing Consortium” shows that small, communal living isn’t just about Millennials living in the middle of the city. 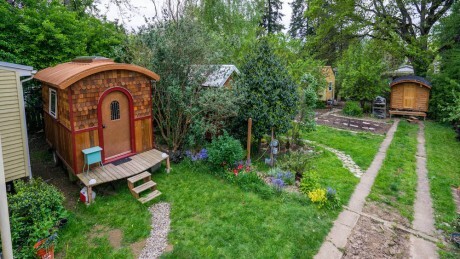 This story about a single family home with four tiny houses set up in its backyard is one of our favorites. It shows how density and community can be made inside America’s single family home-centric infrastructure. 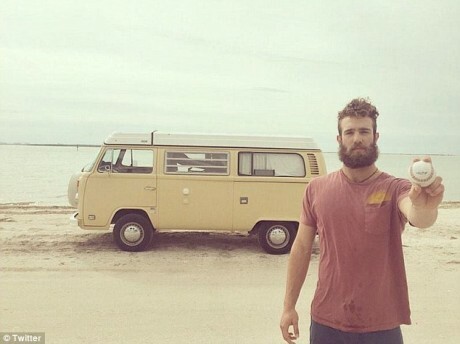 Alright, out titles aren’t that original sometimes, but this post about major league baseballer Daniel Norris seemed to strike a chord with readers. If you don’t recall, Norris intentionally chose to live simply out of his old VW bus, eschewing the bling that so often accompanies twenty-somethings with a few million dollars burning holes in their pockets. So You’re a Minimalist. Now What?